Tressa Steuber is the Volunteer Marketing Coordinator and will work closely with our Clinic Manager as part of our marketing team. Tressa will be helping our center work on some marketing strategies including the coordination of our newsletter and marketing campaigns. 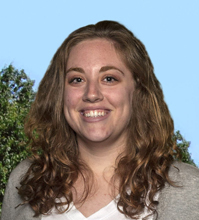 Tressa Steuber graduated from Iowa State University in 2015 with her Bachelor’s of Science in Animal Ecology and is currently working full time at the Friends of Henry Vilas Zoo as their membership coordinator.